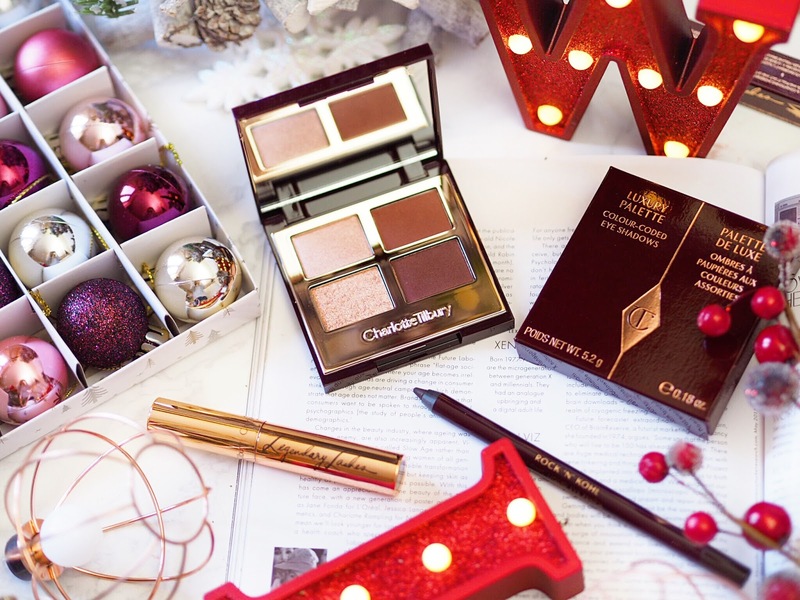 When it comes to make-up, one of the greats will always be Charlotte Tilbury. I buy a lot of their products and recommend them a lot because the quality is fantastic. 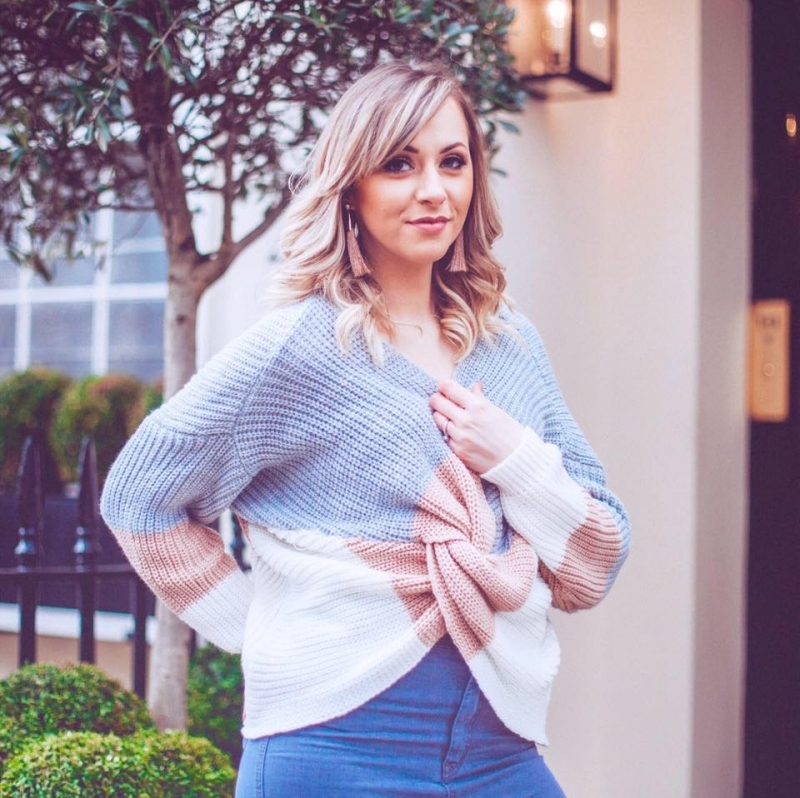 Sometimes a little pricey, which can mean it’s often out of reach, this Christmas there are some amazing value gift sets that I couldn’t wait to recommend. 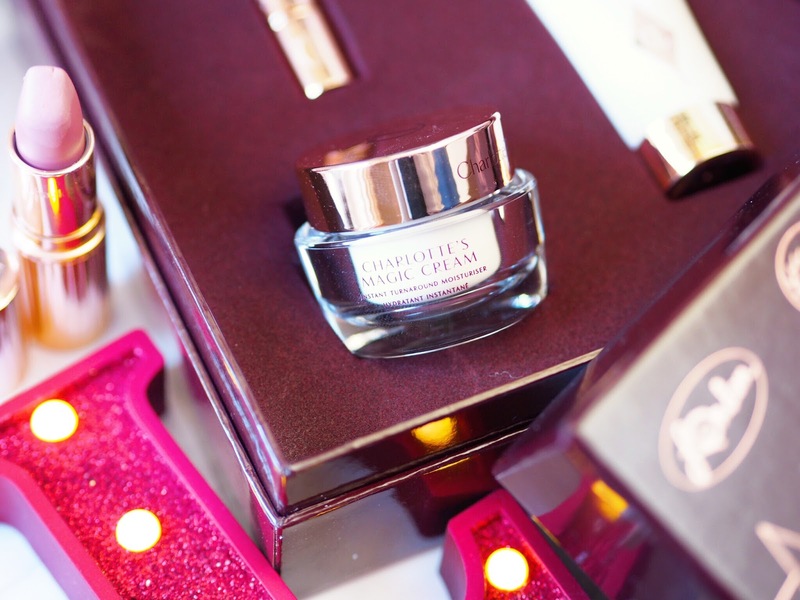 What could be better than the quality of Charlotte Tilbury and the nifty-ness of a Gift Set?! Not much, I’m telling you! 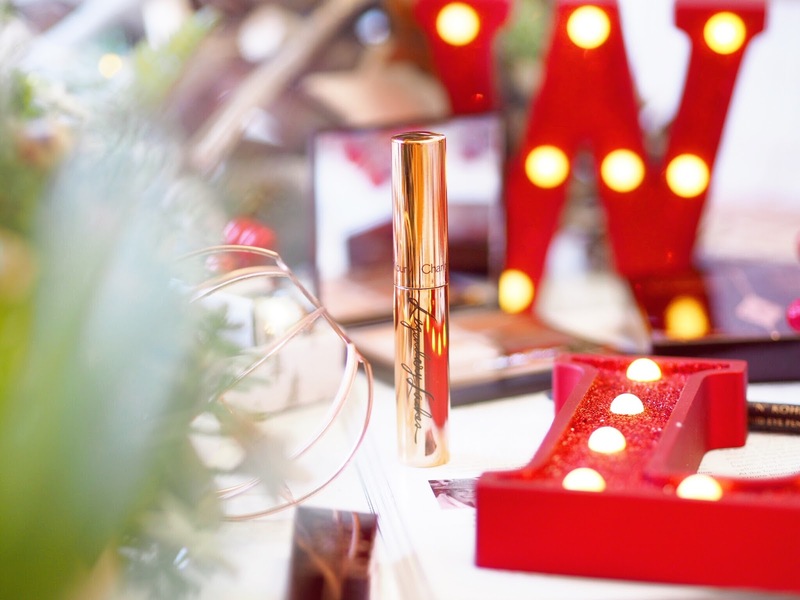 This is the best place to start with gifts from Charlotte Tilbury. 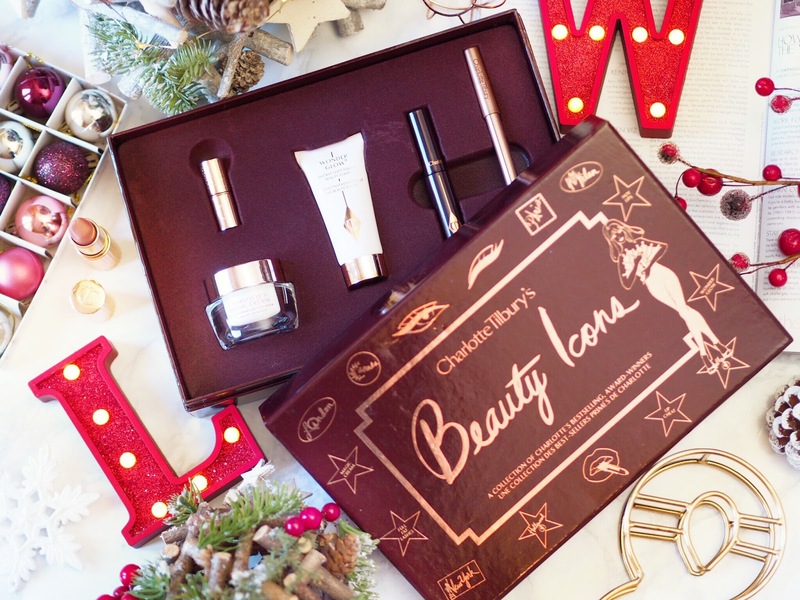 It’s a gorgeous and luxuriously packaged Beauty Icons set featuring five of the best selling products. 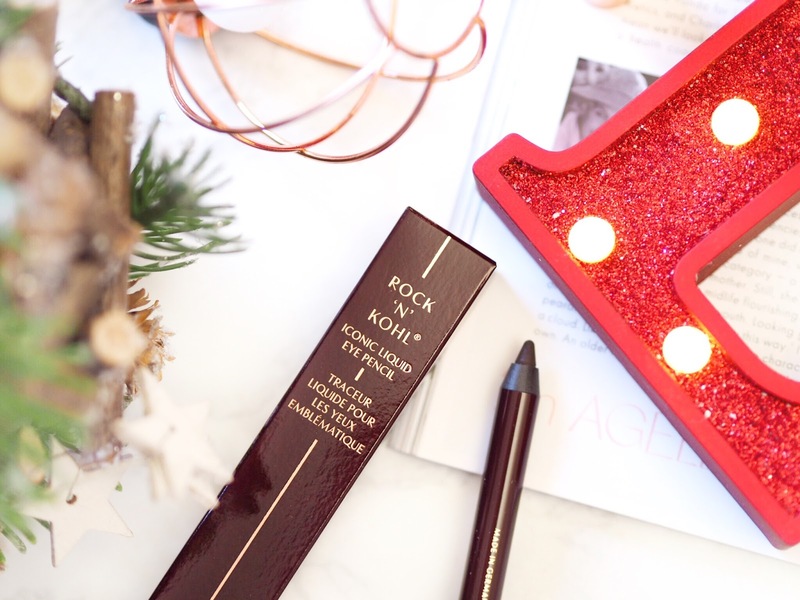 It not only features skincare goodies, but make-up too, so it’s a really great all round gift. 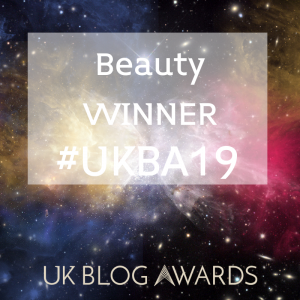 The products inside are miniature versions of the Magic Cream Moisturiser (15ml), the Wonderglow Face Primer (15ml), the Lip Cheat Lip Liner in Pillow Talk (full size), the mini Full Fat Lashes Mascara (mini) and the mini lipstick in Penelope Pink. Altogether you can try some of the most iconic items in the whole collection and you’ll be spoiled for choice with what to try first. Seeing as I’ve tried most of these items before, I can personally vouch for how lovely they are and highly recommend this as a great gift or treat for yourself. If make-up is your thing then this is the gift set for you. In fact, I am so in love with the Stars of The Red Carpet Set I’ve already purchased another one as a gift for my Mum! 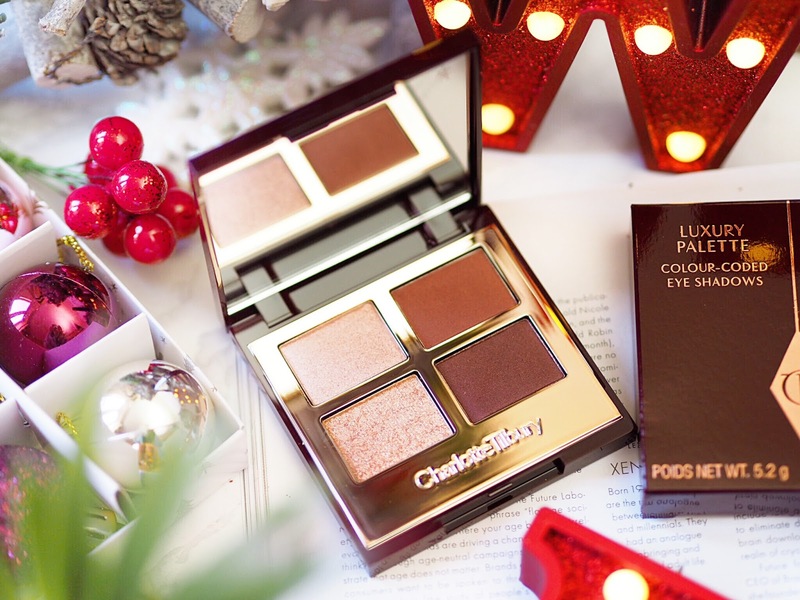 I am obsessed with Charlotte Tilbury eyeshadow palettes and this gorgeous three piece set is everything you need for the eyes this Christmas. The exclusive set is only available from Feel Unique and is very well priced considering it contains two full sized items and a travel size. The contents themselves are the Vintage Vamp Eyeshadow Quad which features four festive looking shades that are perfect for this time of year. I find the pigmentation of the Charlotte Tilbury eyeshadows to be extreme and really good with colour payoff, they’re always an eyeshadow I recommend. They’re also nearly £40 on their own, so it’s great value to get the set because it also contains a Rock’n’Kohl eyeliner pencil to match, and a travel size Be Legendary Lashes Mascara. The three together will help you create some truly versatile eye looks this winter. Get this one before it sells out. I purchased this as soon as it came out and reviewed it here. 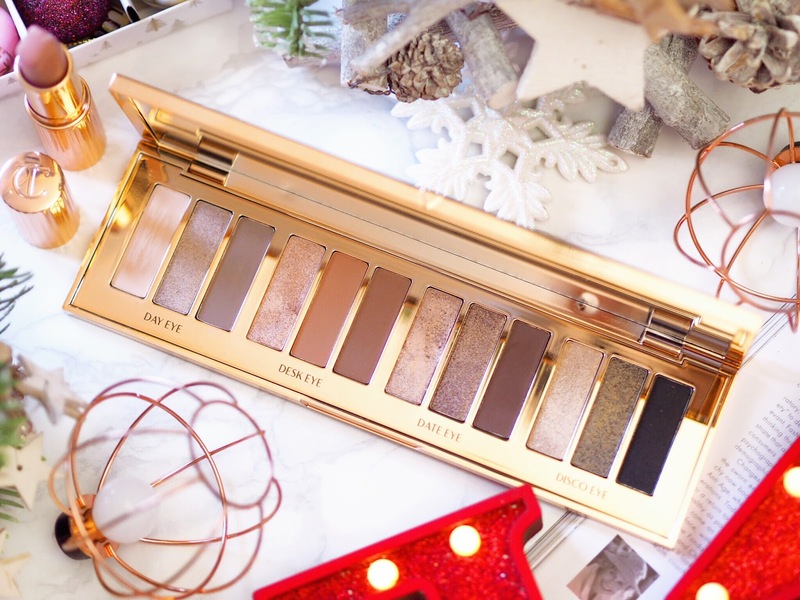 It’s an amazing eyeshadow palette with truly versatile shades that will suit every skin tone. I can’t recommend this highly enough and know every girl would scream with delight at getting this on Christmas. Unfortunately it’s quite tricky to track down as everywhere sells out of it so fast (it’s that popular!) But Cult Beauty currently have stock in, so grab one before they’re gone again! 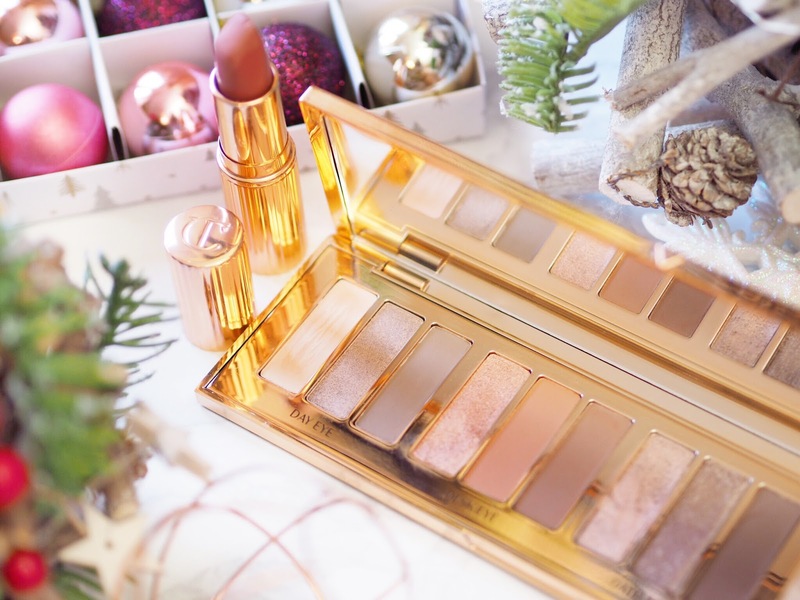 So those are my top three gift picks from the wonderful Charlotte Tilbury this Christmas and I am overjoyed to have all of these in my ever growing collection. I think any make-up or skincare lover would be thrilled with these, and I’ve linked them all below with a few others I feel would make great gifts! Next Post Top Beauty Sale Picks!